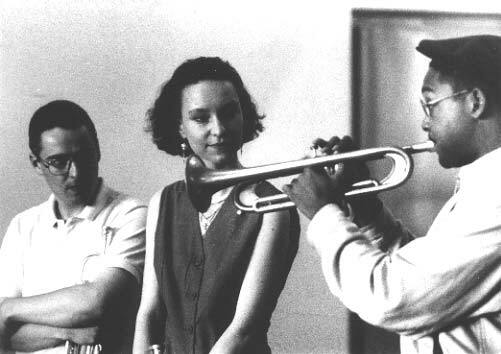 Annette Neuffer began to play the trumpet at the age of eighteen. Three years later she took up her studies at the University Of Music in Graz/Austria. After two years she changed the university to study with Claus Stoetter in Stuttgart. Since 1995 she is the singer of the Al Porcino Bigband. The second recording of the band, now with Jens Düppe on drums, carries the title: "The Art Of Chet" - a dedication to legendary trumpet player and singer Chet Baker. Besides a couple of tunes that are strongly connected to Baker, the repertoire does also contain different originals and lyrics by Annette, also new lyrics for Mulligan's original "Line For Lyons". Publication in 2004 on yvp . 2005 recording and publication of the CD "Easy To Love" on yvp.